Tiger Woods' Home Slated for Downsizing? 5.4 Million Reasons a Year to Do So! Tiger Woods’ Home Slated for Downsizing? 5.4 Million Reasons a Year to Do So! 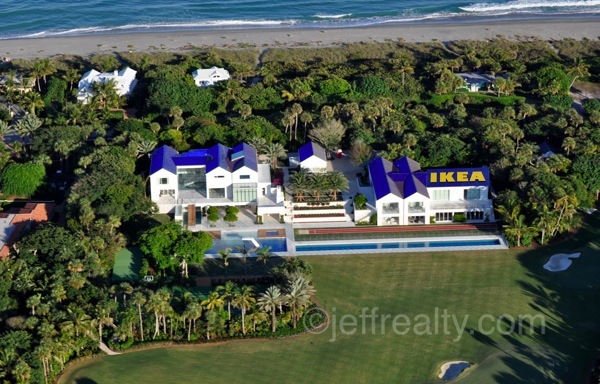 Rumors have been swirling that the triple strain of Tiger’s divorce costs, lack of golf winnings revenue, and drastic drop in advertising income will compel Tiger Woods to sell his Jupiter Island home. Not even Tiger Woods is immune to the recession. A $54.5 million mortgage, taxes, insurance, security, and an endless list of upkeep might make any bachelor think about downsizing. Residents in the area and the press have been wondering what his place would fetch. On my website I have a cost to carry a home worksheet. I have sellers I represent fill this out so they understand the true cost of what it takes to hold a home. 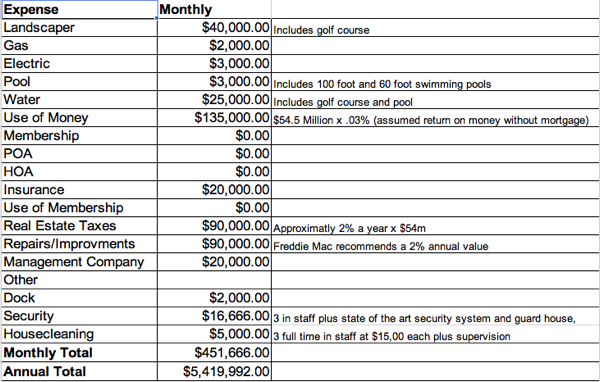 I estimate Tiger’s home to cost nearly $451,000 a month, or $5,419,000 per year if he didn’t have a mortgage and was earning 3% on $54.5 Million. However, in reality his costs are much greater in the short term because of his 5-year mortgage. Other big expenses are real estate taxes, annual money that must be set aside for repair and improvements, and the expensive general upkeep of the golf course. These are, of course, rough estimates and are not 100% accurate. Tiger’s home is incredibly difficult to appraise because the architecture is not in keeping with the ‘Mizner feel’ of Jupiter Island. It is very much Northern European (think IKEA- see illustration below) and will probably need a Scandinavian type of buyer. An alternative would be to subdivide the property and sell the house, since it is in the front of the property anyway. All of this would have to be approved by the Town of Jupiter Island. Another way to put a value on the property is the ‘Cost Approach’ along with a ‘Sales Comparison Approach’. A ‘Cost Approach’ is the last resort in the appraisal world. It’s used when you have properties that are entirely unique. The cost approach takes the land value (multiple lots) plus additional value (golf course) + square footage. What I would do is probably meld the Cost approach with the ‘Sales Comparison Approach’ and average the two together. Assuming the inside is beautiful, the new owner could have an architect change the exterior by putting a new Mizner exterior facade and traditional barrel roof on. As for a fantasy number to put on, I decline on this one. A true appraisal would be needed. An appraisal on Tiger’s home would start somewhere in the neighborhood of $10,000,000 for a home Tiger’s size. With the lots starting at $38 million + the cost of building, Tiger would expect to take a hit like everyone else who purchased and built at the height of the market. 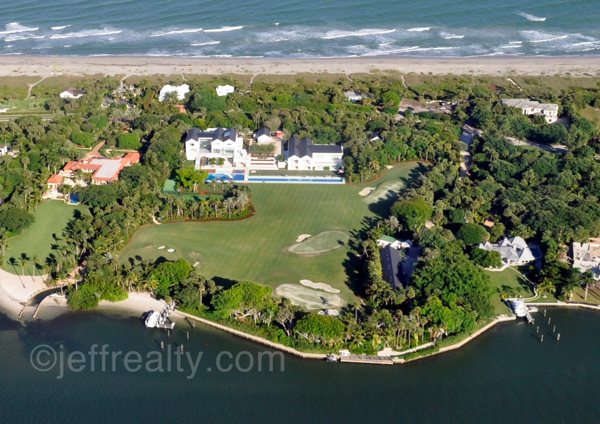 Tiger could rent it out on a one-time basis without losing his tax advantage homestead exemption. This gets tricky as the State wants to see permanent residents residing in their home on January 1st of each year. Tiger could move in with his Mom; after all, he built her a 22,000 square foot mansion nearby. Abacoa real estate or Evergrene homes are all family-oriented neighborhood communities that might appeal to Tiger at this stage of his life. If he wants a country club with its own golf course, then Admirals Cove or The Bears Club in Jupiter that Jack Nicklaus built would be possibilities. Ernie Els already lives at The Bears Club in Jupiter, which would give the Bears Club more Green Jackets than any neighborhood in the world. Hopefully he will enjoy his home for a while. In the meantime, his ex, Elin, is dating a billionaire, so she’s put her life in order. There aren’t many places more beautiful in the world than Jupiter Island. Posted in Jupiter Island on July 17, 2011 at 12:13 am. Tiger Woods & Elin Woods Reconciliation? Which House For Sale?